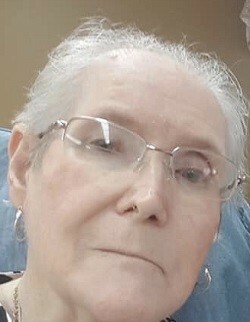 Mrs. Mary Grace Stroud, age 72, and a resident of Newton, passed away on Sunday, December 2, 2018 at Bedford Care Center where she had been a resident for the past four years. Funeral services will begin at 2:00 pm on Tuesday, December 4, 2018 from the Ott & Lee Funeral Home Chapel. Interment will follow in the Eastern Cemetery. Visitation will be two hours prior to the funeral service on Tuesday at the funeral home. She was a native of Rankin County, a Baptist by faith, and retired employee of NuWay Dry Cleaners. She is preceded in death by her parents: Willard and Lilley Mae Moore Sexton. Survivors include her children: Matthew Wiltcher of Mt. Olive; Janice McGrew of Lake; Mack (Emily) Wiltcher of Walls; and Christy Bell of Forest; fourteen grandchildren; six great-grandchildren; one sister: Linda Henson of Forest. Pallbearers will be Robert Wiltcher, James McGrew, Alex Wiltcher, Matthew Joshua Wiltcher, Auston Wiltcher, and Bradley Smith. Service provided by Ott &Lee Funeral Home of Forest.